Key to an enjoyable and relaxing holiday is having the quality facilities to support your experience. Our ultra-modern, centrally heated toilet block with power showers ensure that whatever the day and weather, you can always get warm and clean. If you want to have a quiet, low key day then there are play facilities for the young ones and space for the older ones. And if you've forgotten something or don't want to travel, our shop stocks the basics that will get you by. For detailed information on each of our facilities please explore the pages below. 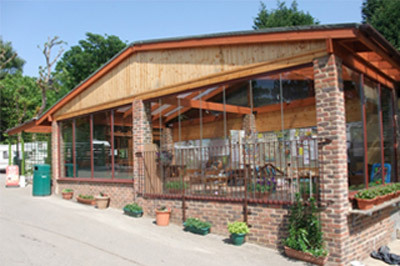 The reception and office block also houses the park shop. Manned daily, the shop is open until 19:00 in the Summer and stocks basic products and those all important Ice Creams! The park has 2 toilet blocks (service cabins), one at the top of the park by reception, and one situated at the entrance to the East Paddock touring field. 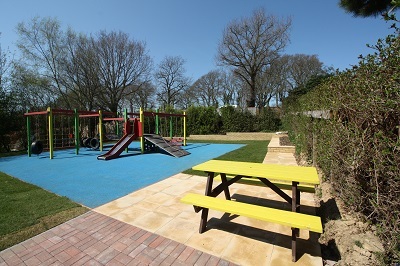 The ideal place for the young ones to meet friends and play in a safe environment, whilst tiring them out for bed! Suitable for children up to the age of 10.